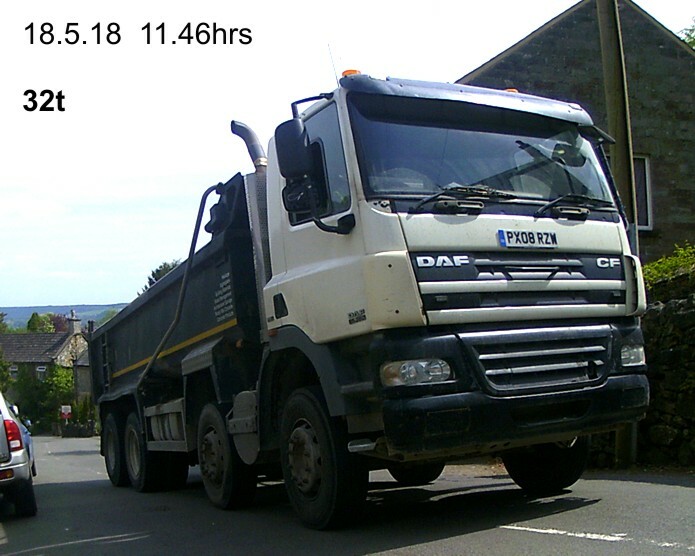 West Bank has an average gradient of 1:6 but in places is steeper than that. 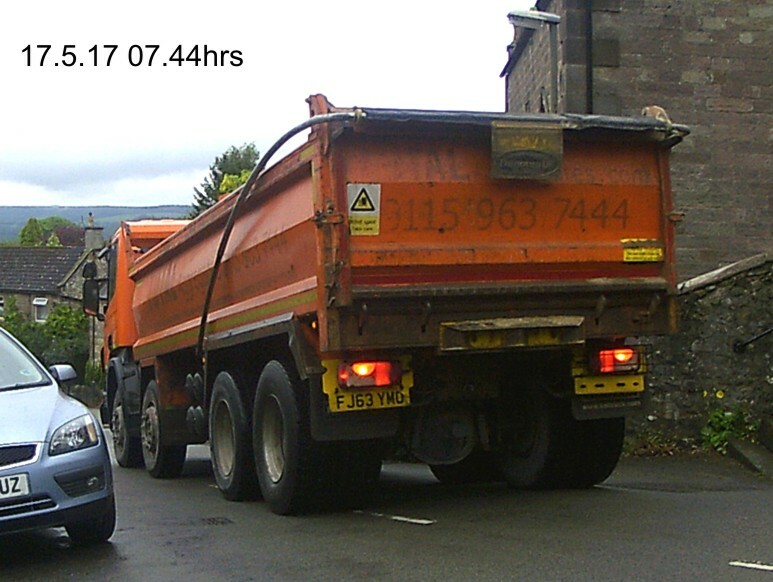 to save the trouble of following the correct route via Pickory Corner/A6. 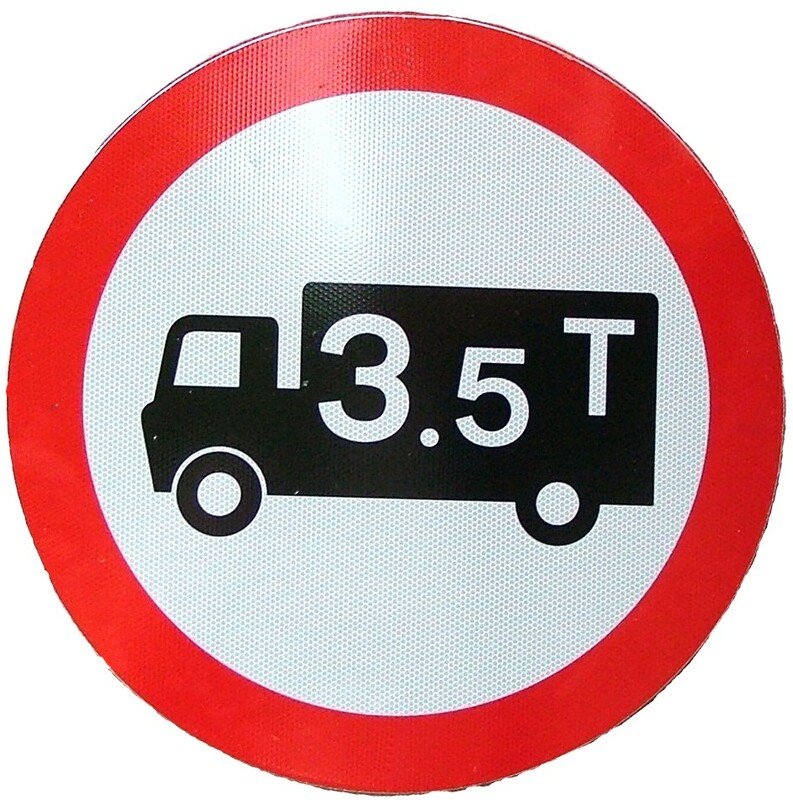 A 3 ton weight restriction was placed on West bank in 1973 and updated in 1988. 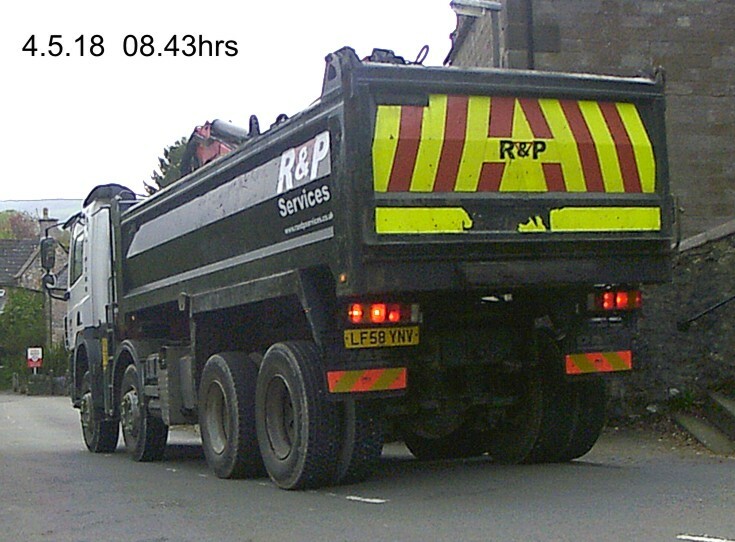 These were largely ignored by vehicles. 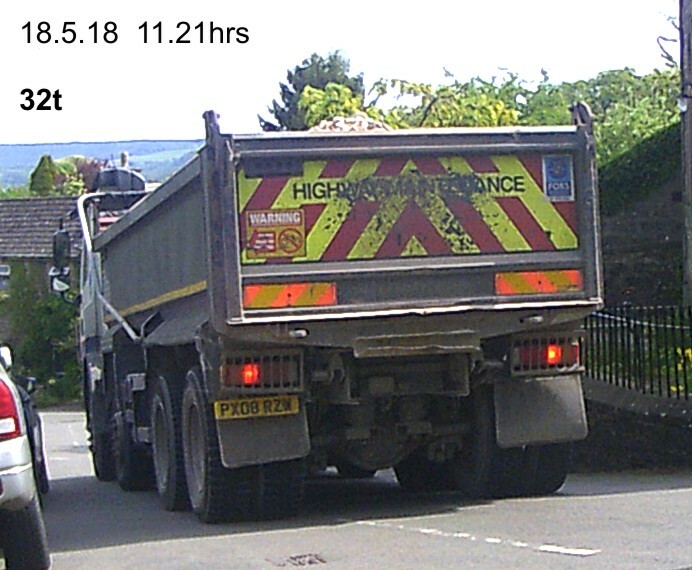 Derbyshire County Council in July 2008. 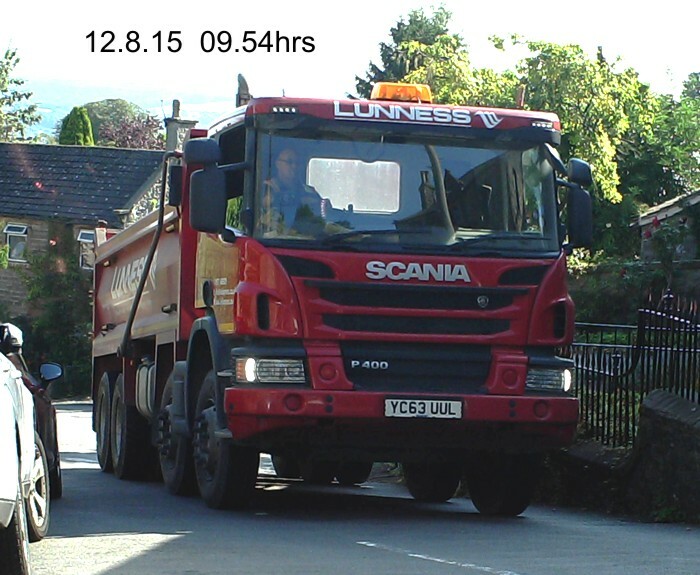 ** A change in court proceedings now gives drivers the opportunity to plead guilty by post. 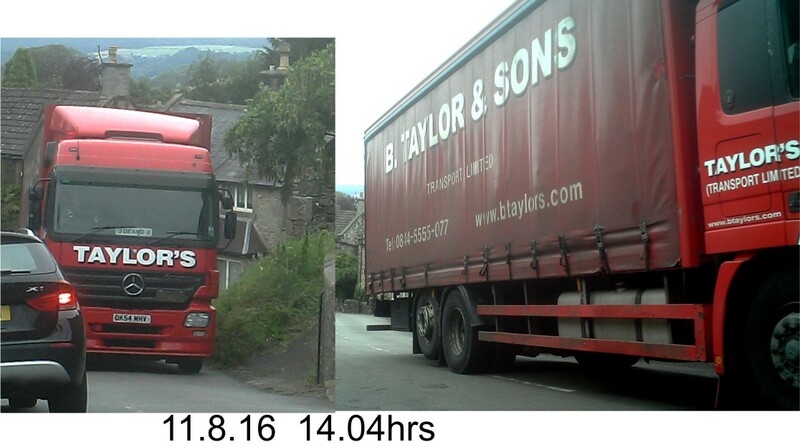 Fined £126 + £115 costs + £30 victim surcharge. 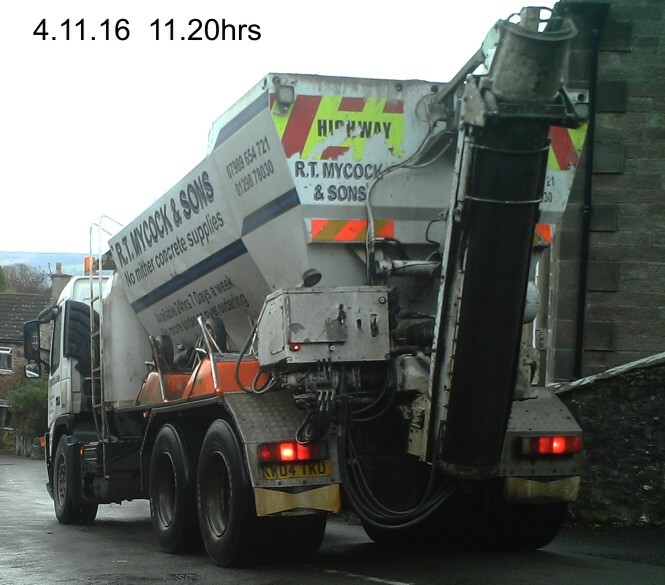 Full artic MX 57 MGO breaching 7.5t restriction on Main St, Winster. 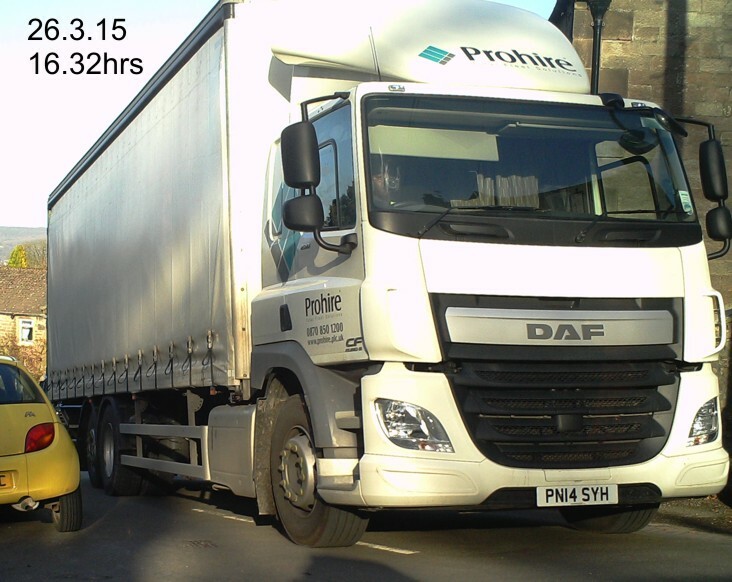 The driver of this vehicle was fined a total of £219 at Chesterfield Magistrates' Court. 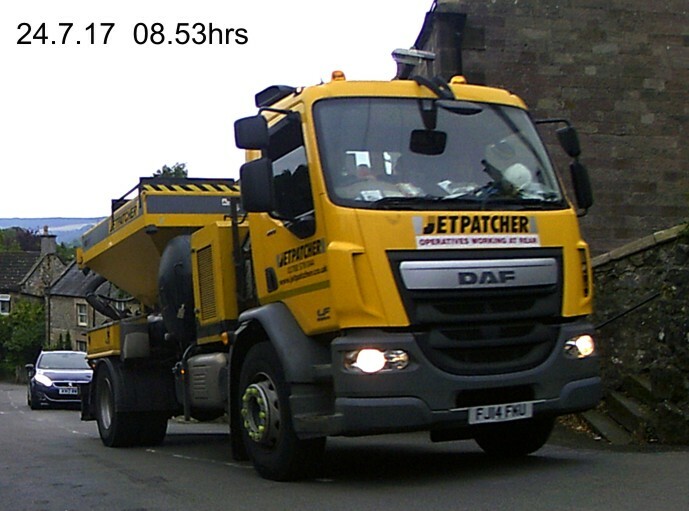 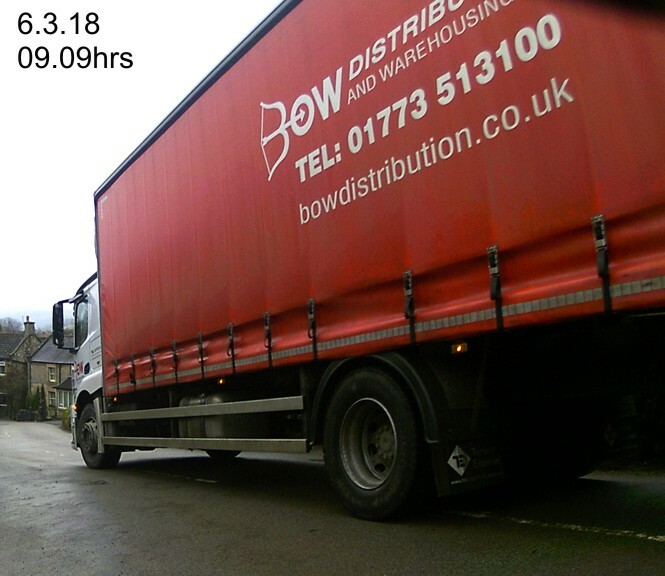 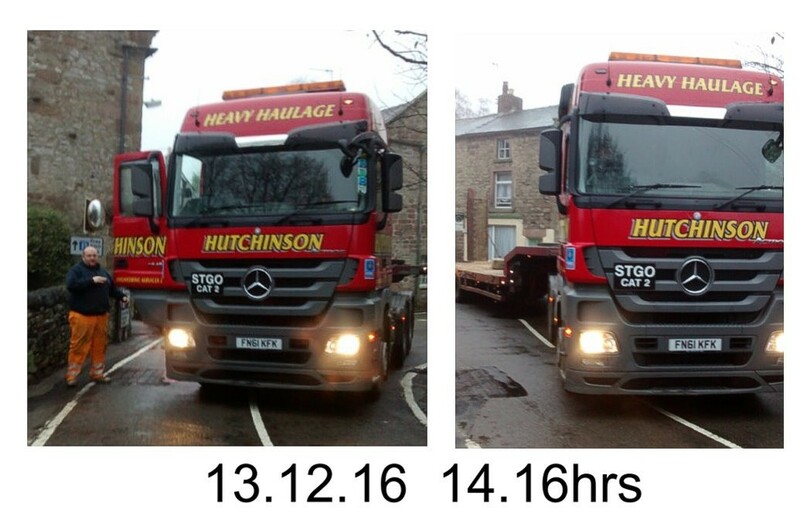 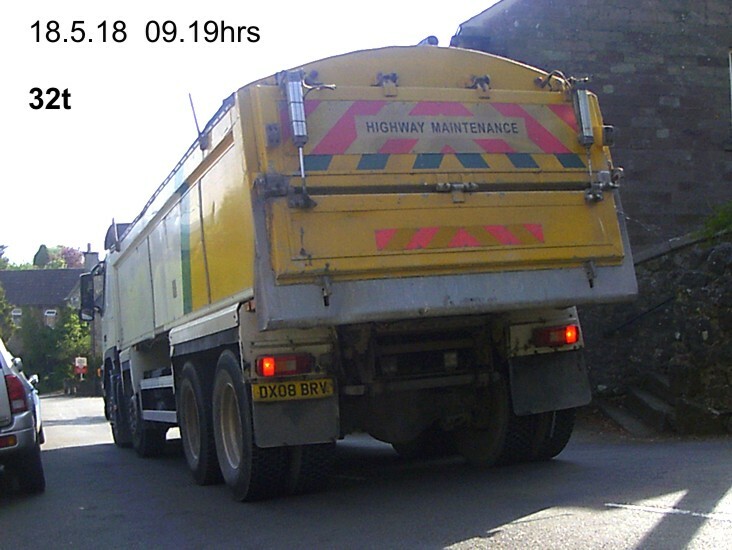 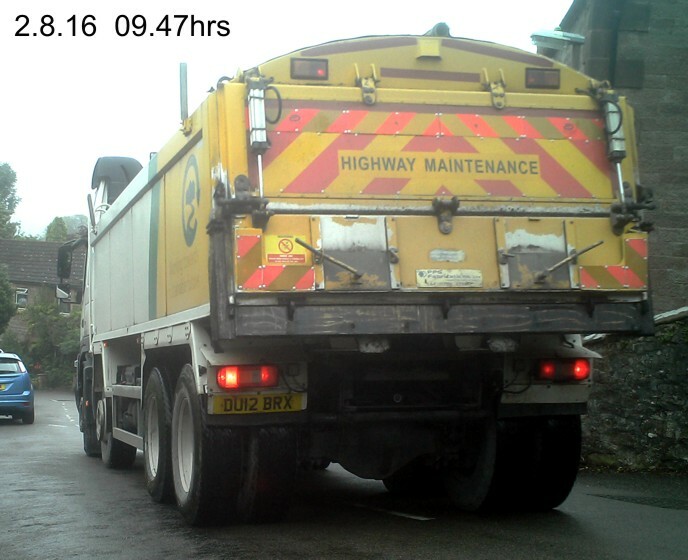 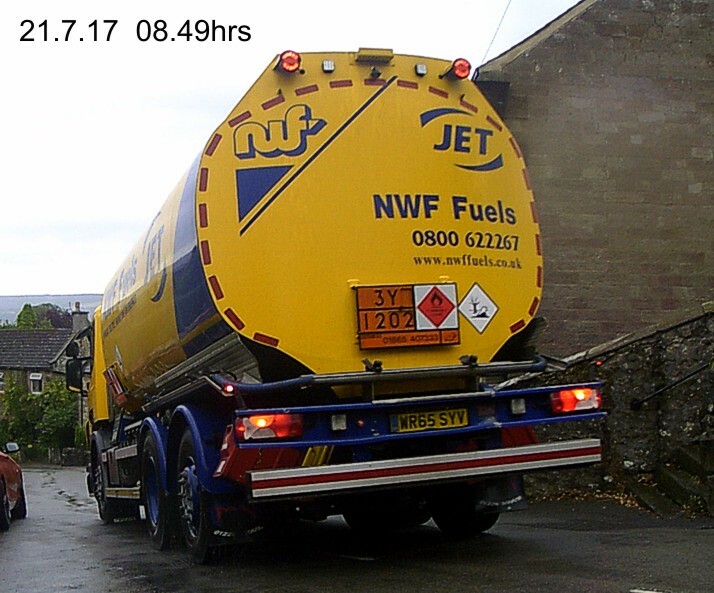 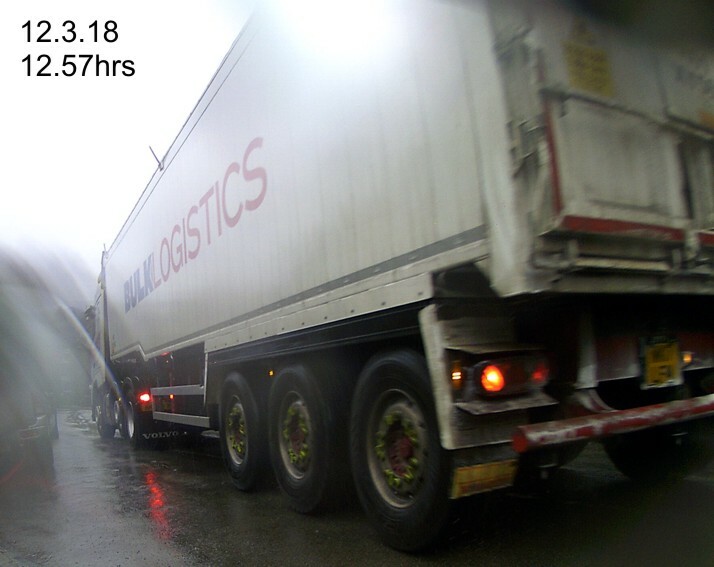 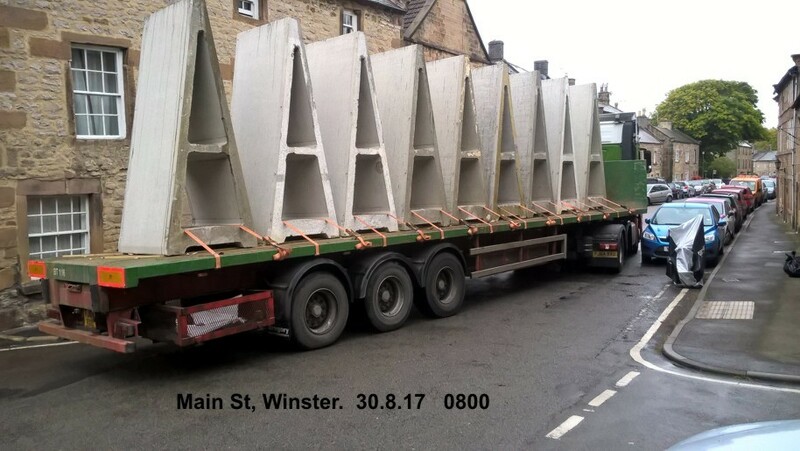 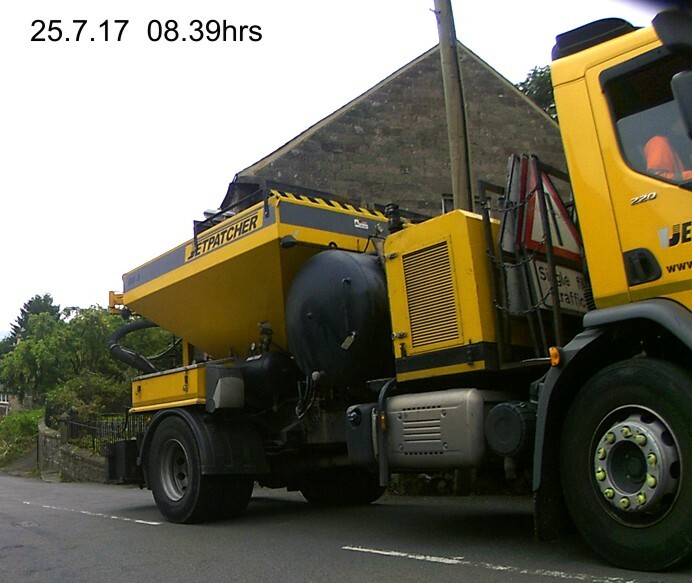 FN 13 WKD - a 50ft flatback lorry with a 30ft trailer stopped in the Main Street, Winster, before trying to turn up West Bank. 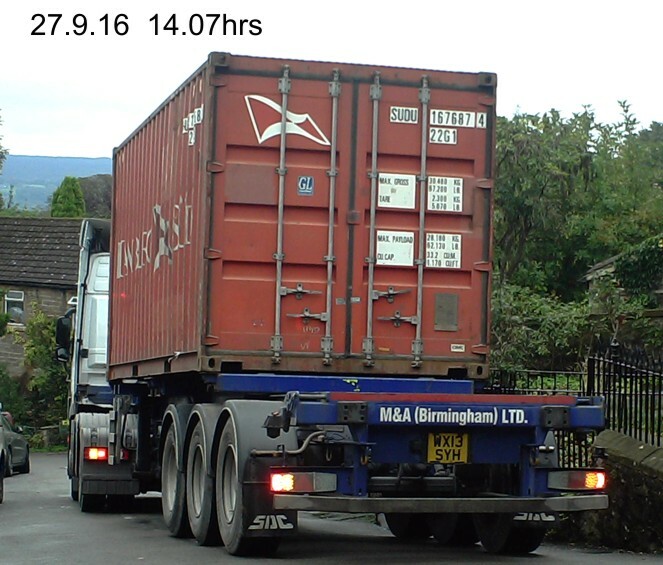 He was warned that he was a) in a 7.5t limit and b)West Bank is a 3.5t limit. 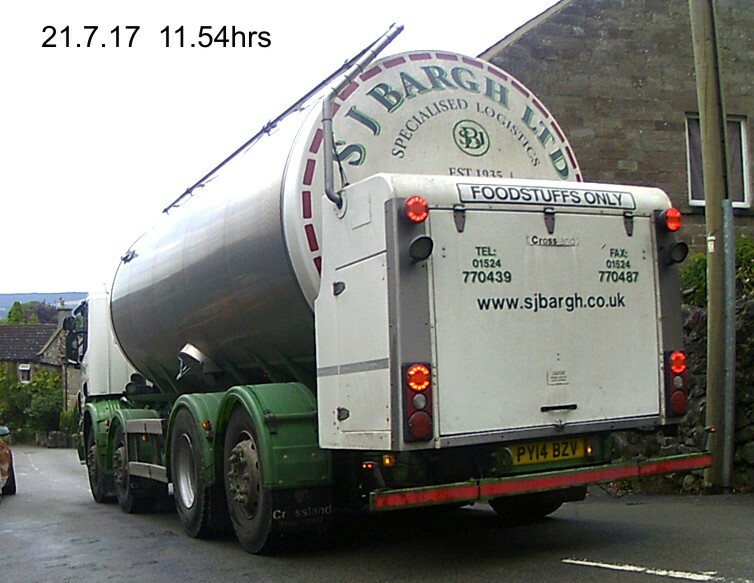 He turned round and retraced his steps to Darley Dale. 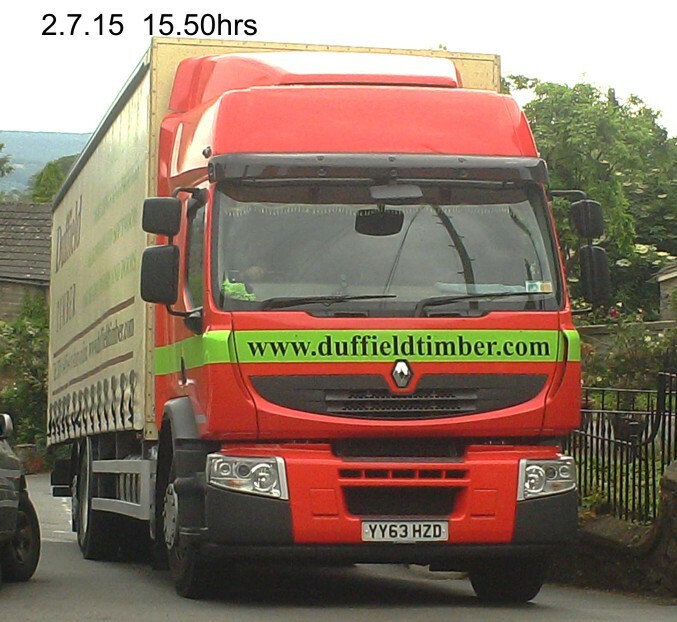 for him after 40 years' blemish-free driving! 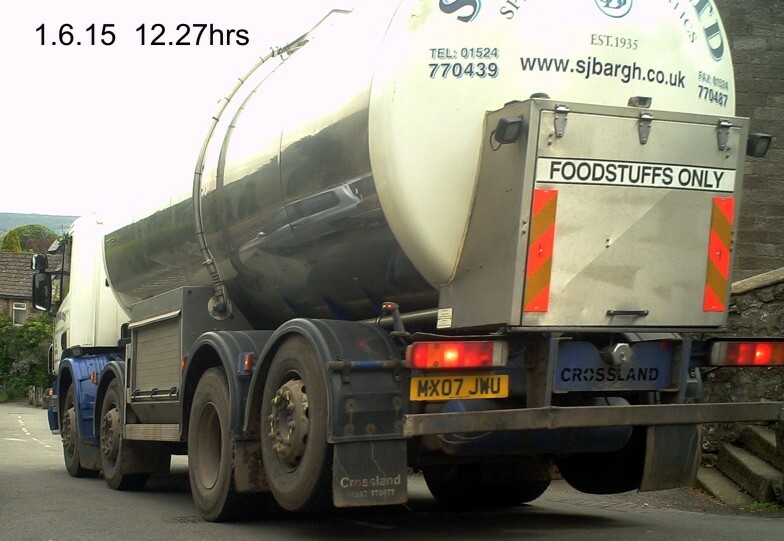 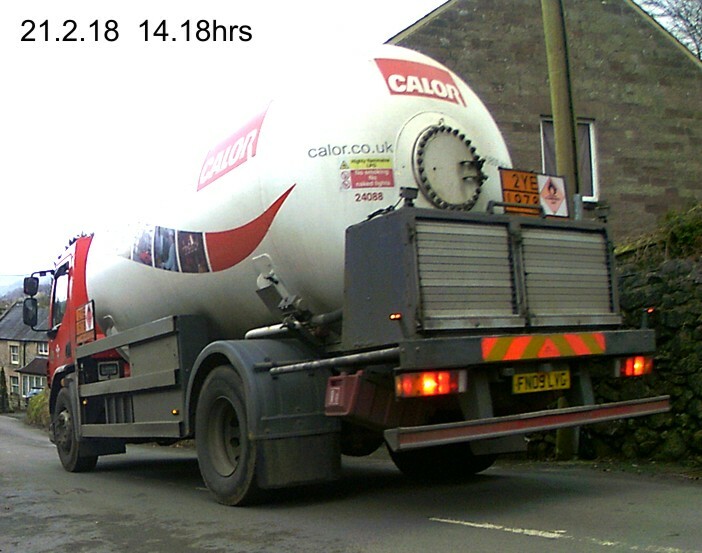 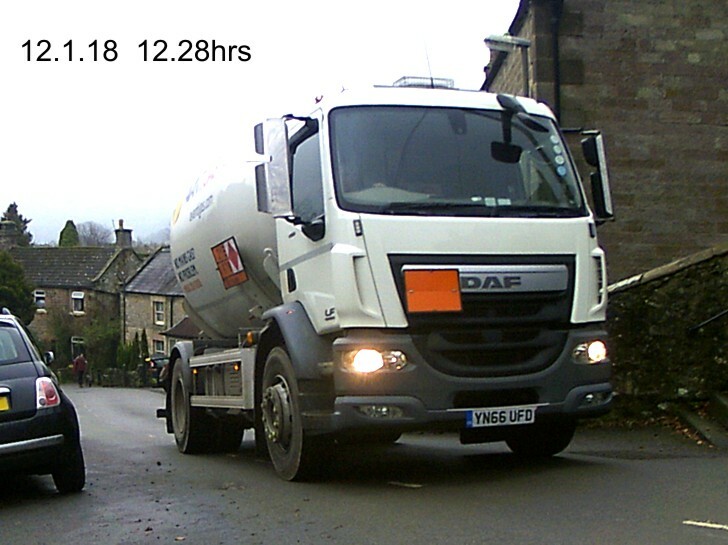 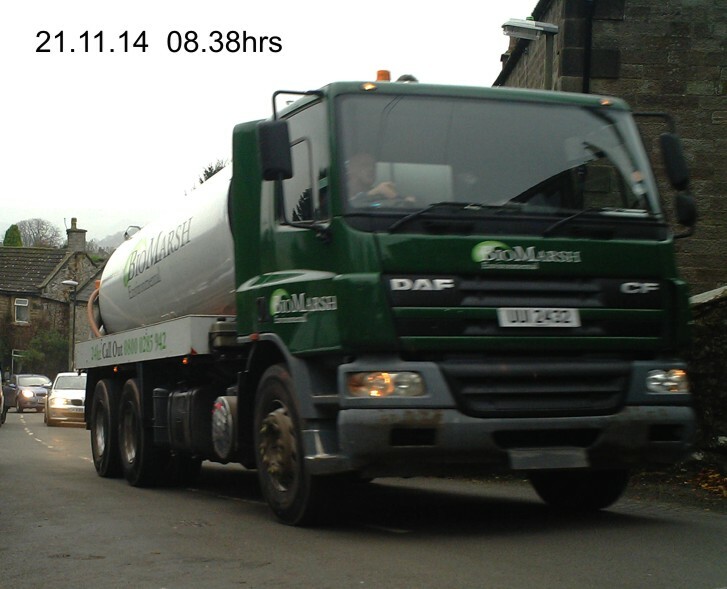 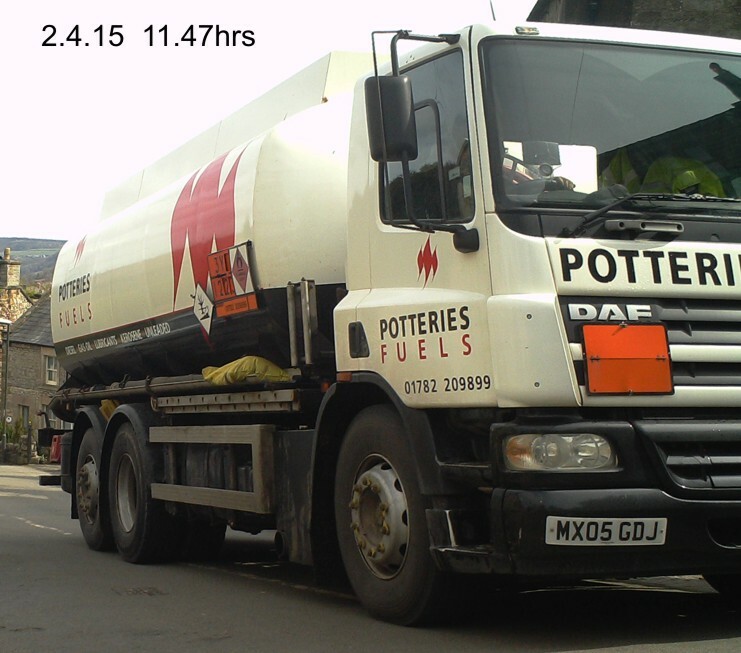 The driver of this tanker appeared in Chesterfield court on 18 Feb 2015 and pleaded guilty. 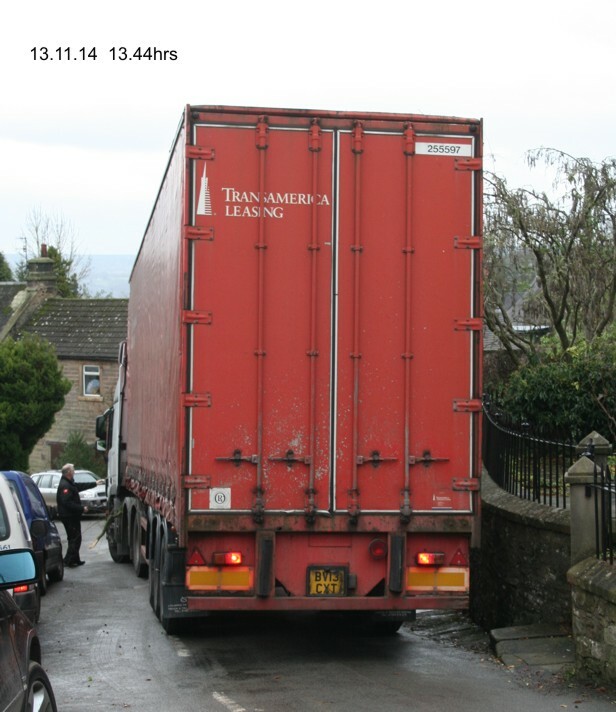 He was fined £440 with £115 costs and a £44 victim surcharge. 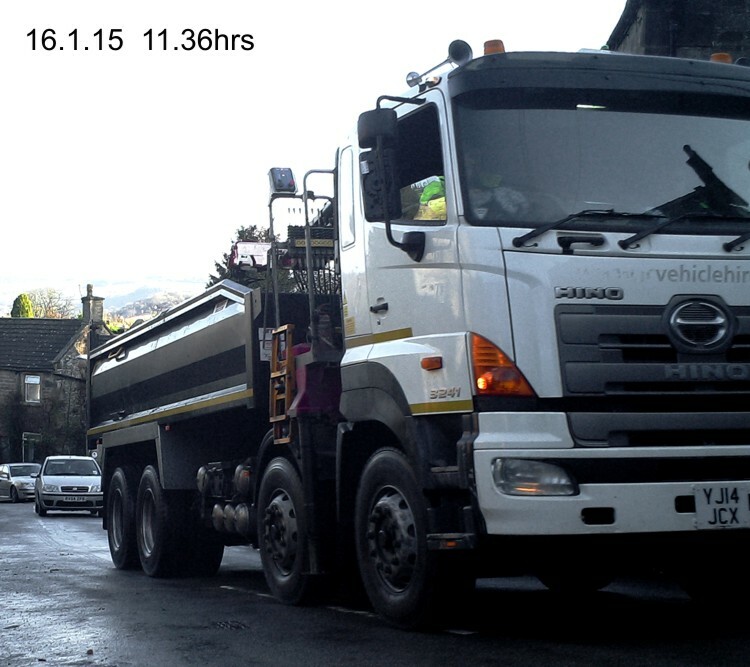 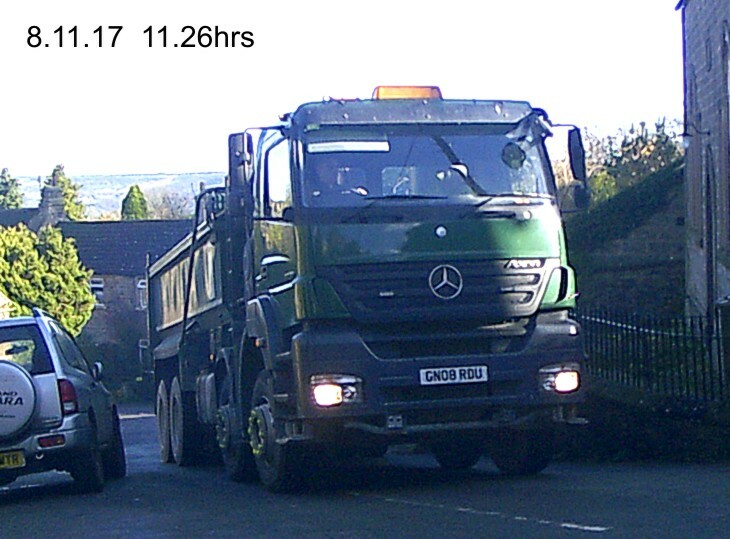 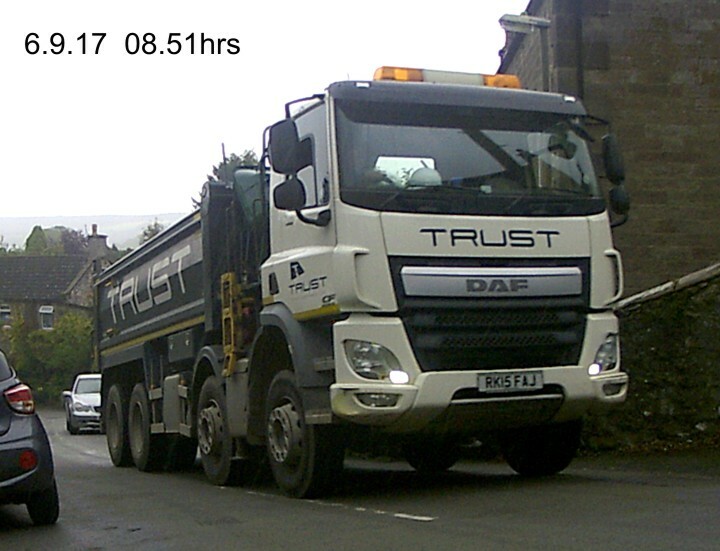 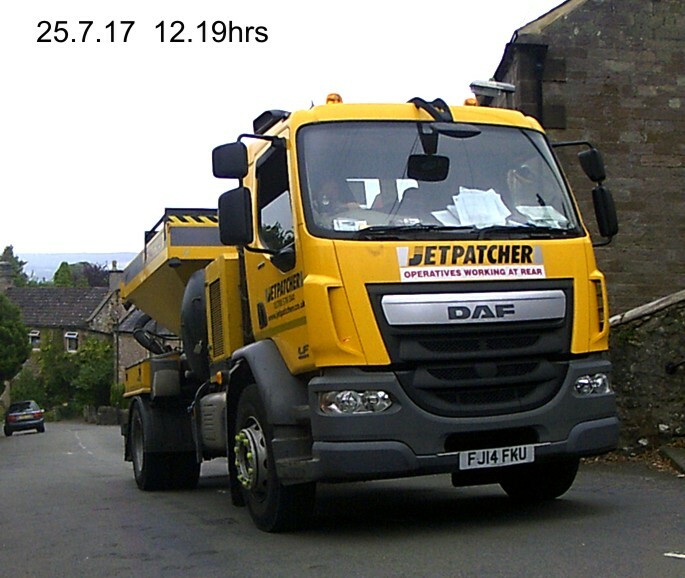 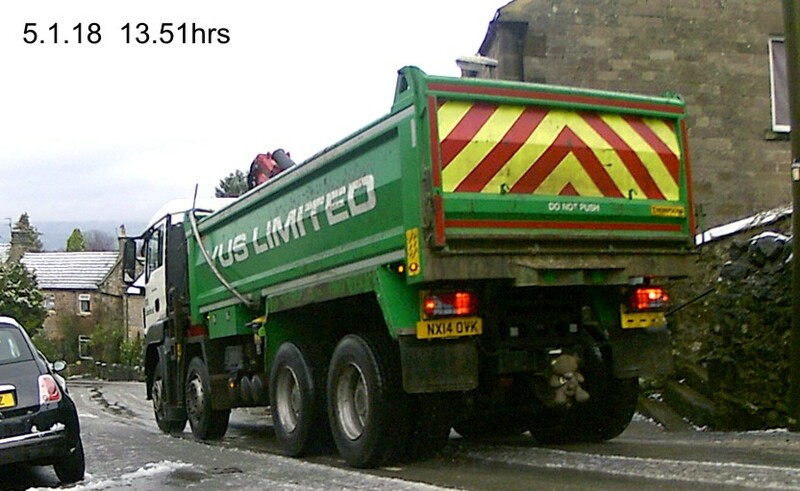 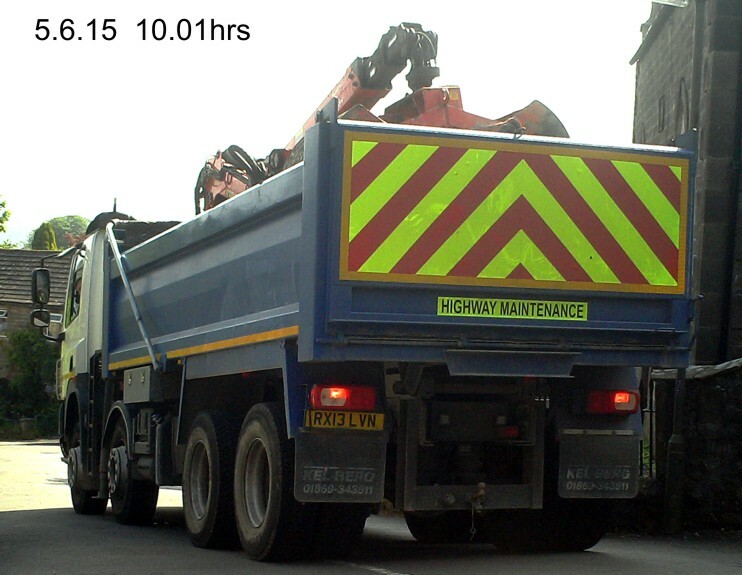 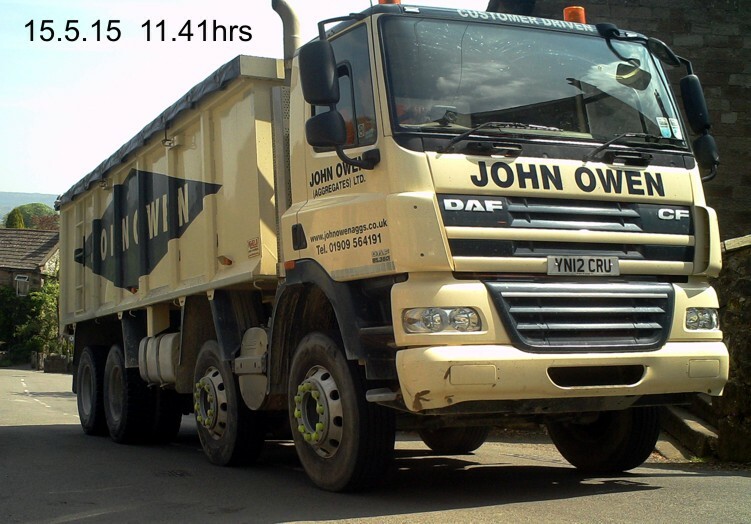 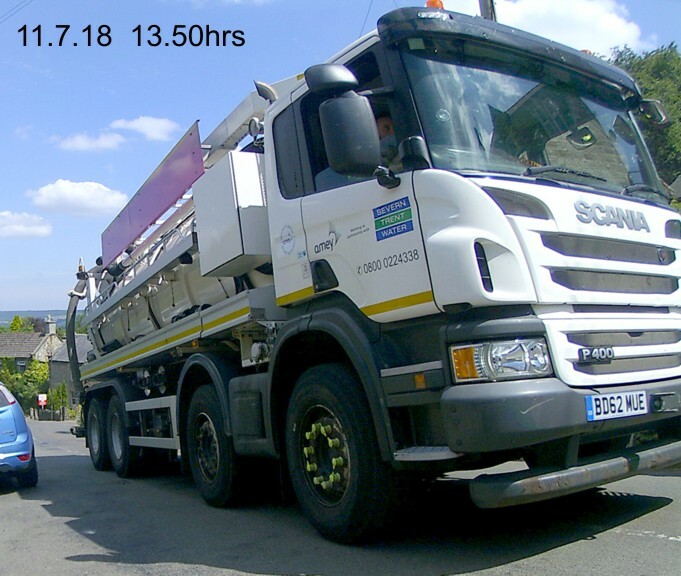 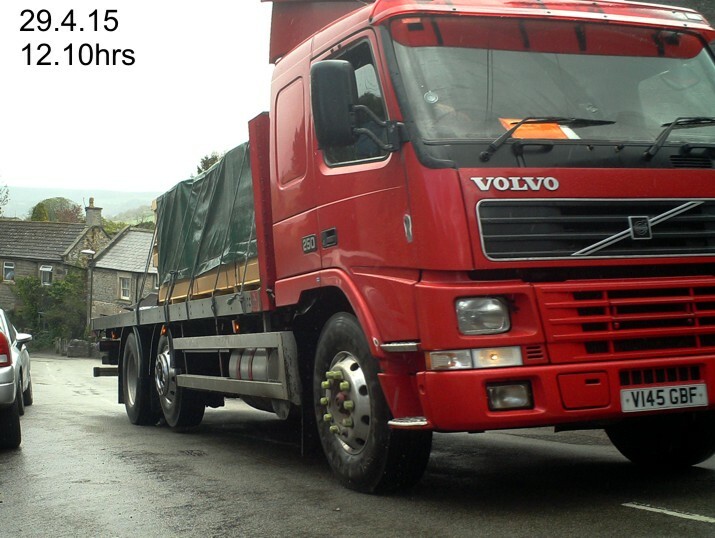 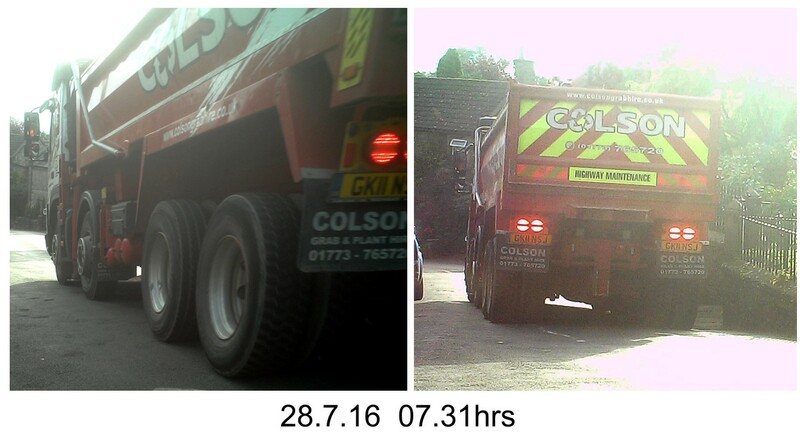 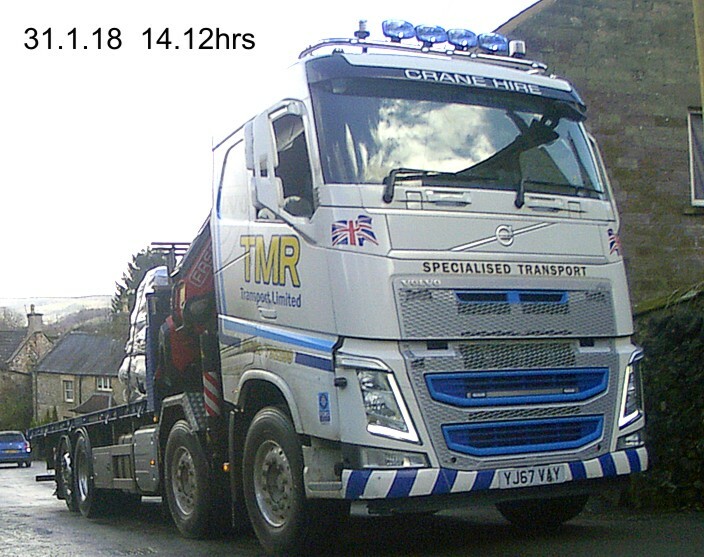 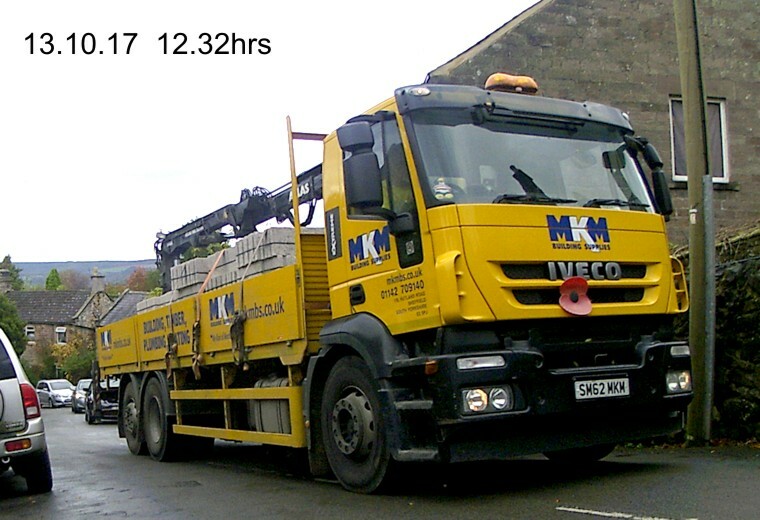 Kevin Goodman, the driver of this 44tonne vehicle appeared at Chesterfield Magistrate's Court on 18 March 2015. 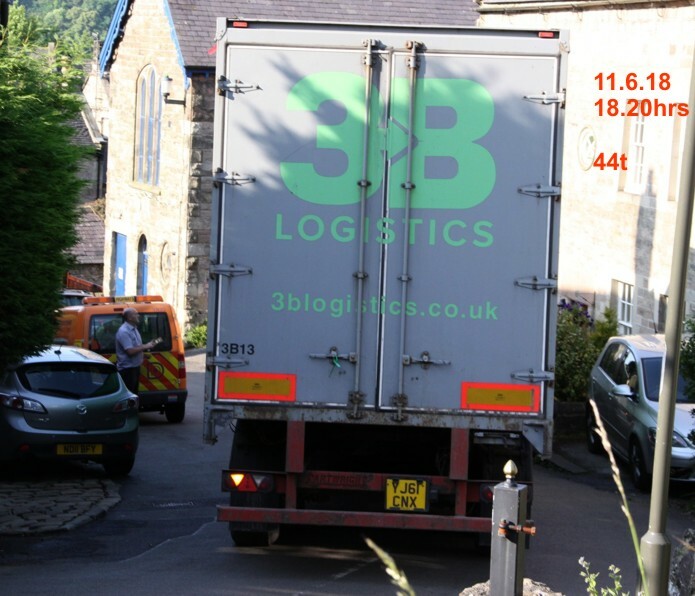 “There are concerns along the length of West Bank at Winster junction with East Bank and the nearby B5057. 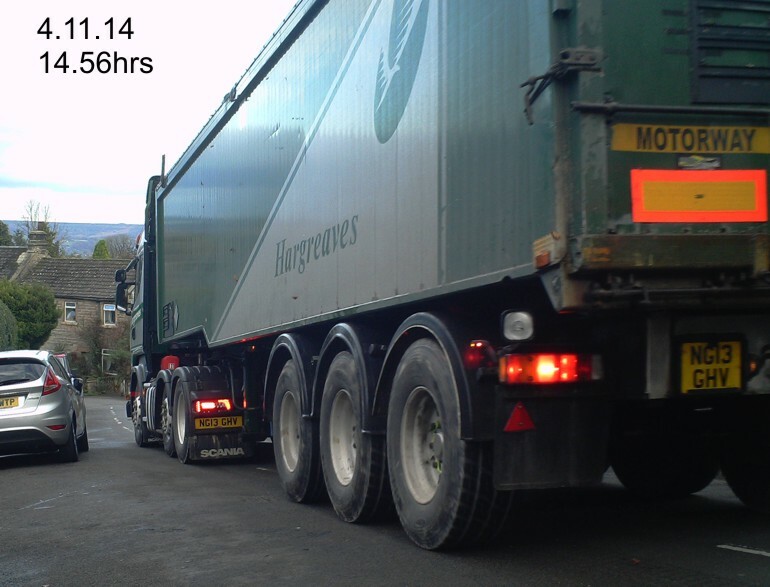 There is an order prohibiting heavy commercial vehicles operating with vehicles with a weight exceeding 7.5tonnes. 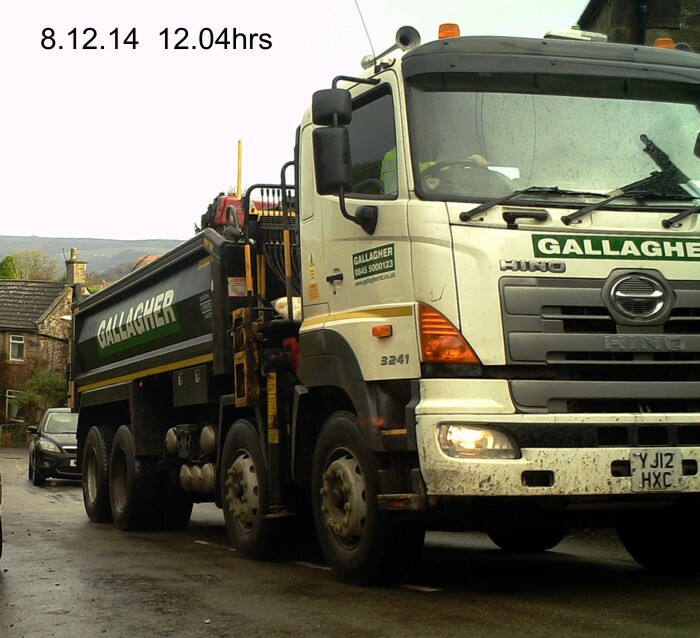 He was fined £114 and ordered to pay a £20 victim surcharge and £115 costs. 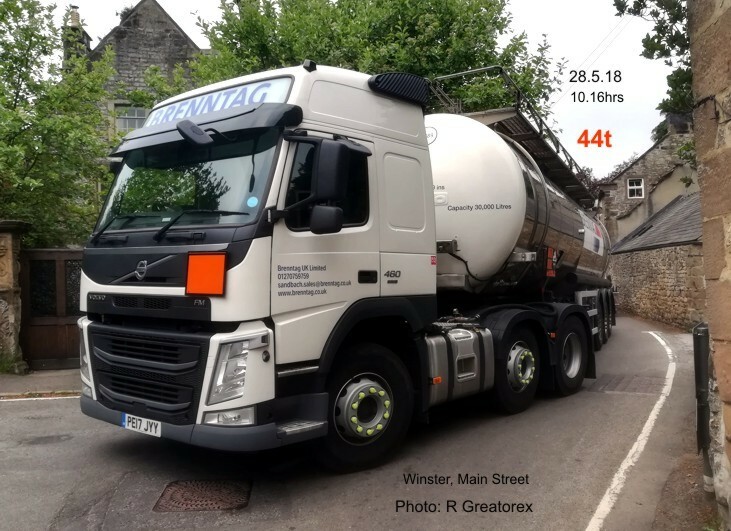 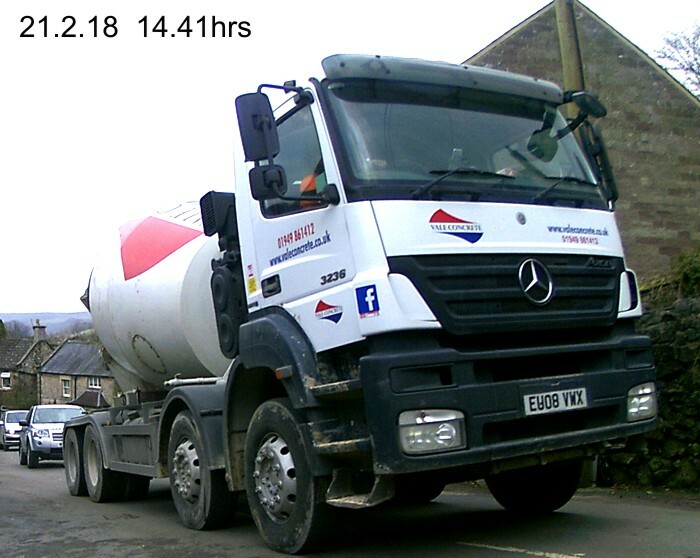 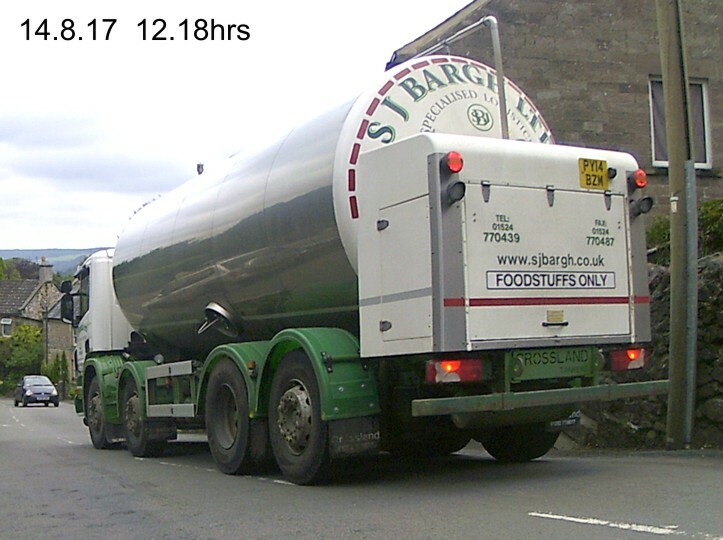 *Philip Grindey drove a 32tonne milk tanker through Winster’s 7.5tonne limit zone in December. 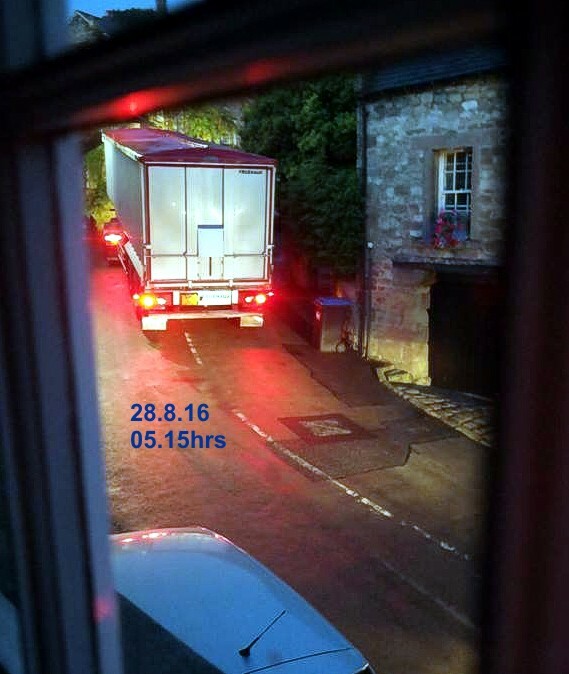 He was fined £139 and ordered to pay a £20 victim surcharge and £115 costs. 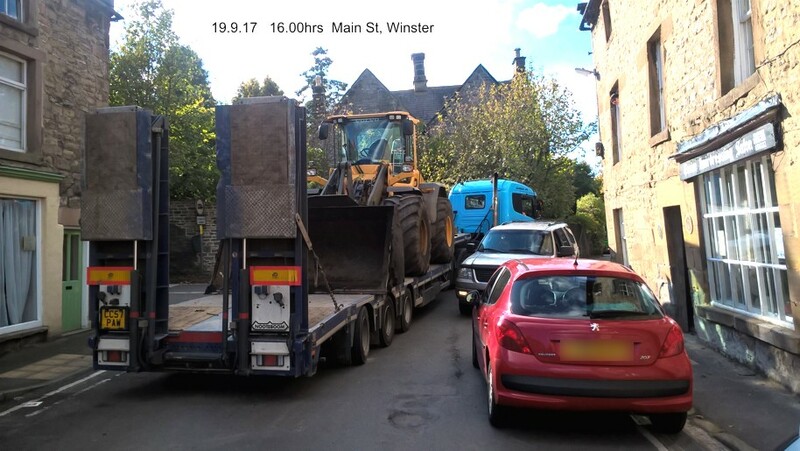 Mr Grindey told the court he had become complacent and had not realised he could not legally go through this part of Winster.